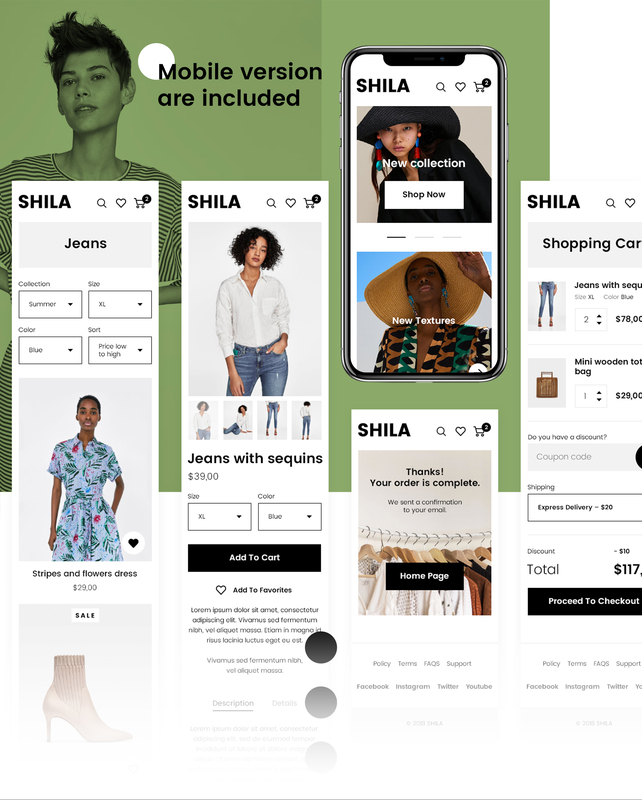 Shila is a high-quality e-commerce template perfect for modern stores. It contains 9 PSD and 9 Sketch files in which all layers and folders are well organized and named. The design has a modern and elegant style and is based on 1170px and 320px Bootstrap grid. The layout is beautiful with large images and adequate typography. Contains 9 pages: Homepage, Catalog, Product, Cart, Checkout, Order received, About, Contact, & FAQ. Please note: images used in the previews are not included in the files.